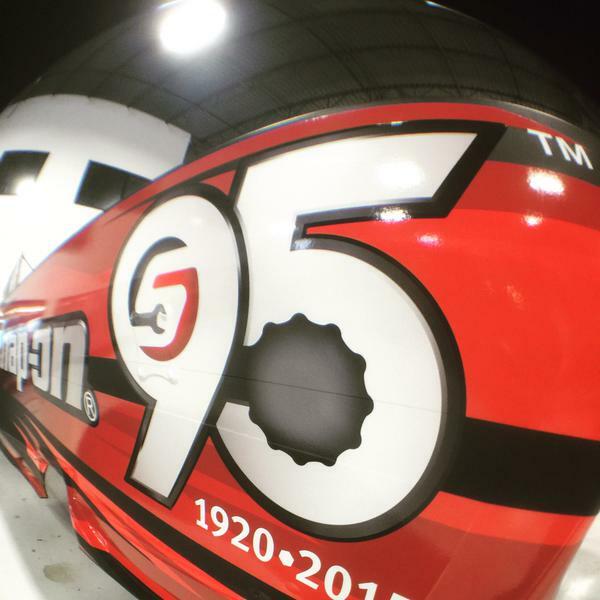 In a few hours when teams get ready for qualifying, Snap-On Funny Car driver Cruz Pedregon will have a special scheme on his car for the Route 66 NHRA Nationals. 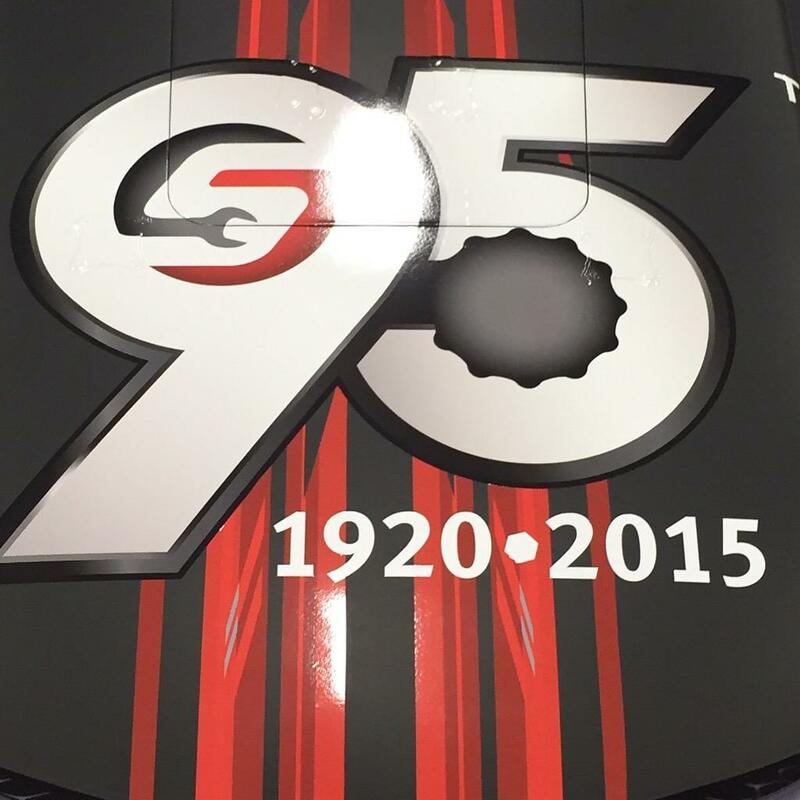 This scheme is recognizing the company’s 95th anniversary. According to Pedregon, it will be a two-race deal with this scheme. It will be for this race as well as the Chevrolet Performance U.S. Nationals at Indianapolis during Labor Day weekend. At this event, it is a home field advantage for Snap-On as the company is based in Kenosha, Wisconsin. That’s nearly a two hour and a 100 mile drive from headquarters to the Route 66 Raceway in Elwood, IL. With this being a close race for them, Pedregon will have special Snap-On guests at the track all weekend. According to Pedregon, this is the first time that he’s used a digital flame scheme on one of his cards. He said he’s used a traditional flame on his car in the past. He added that Snap-On helped with the decision to do this kind of digital flame. He said this car is totally different than Alexis DeJoria, who has flames on her Patrón XO Cafe Incendio Toyota Camry Funny Car. He said that she had a traditional flame on her car. He mentioned that it’s really hot looking and it’s more on the electric side compared to the traditional flame. With the new scheme, the entire team will have new uniforms and he’ll also have a new helmet to wear, as well. “We’re trying to do it right so everything is uniformed when we do photos,” Pedregon mentioned. “We try to go all out with this kind of stuff. 95 years is a very long time – and it’s pretty unique. I’m proud to represent a company that’s gone through the World Wars and tough economic times. Pedregon has been knocked out in the second round in the past two rounds. He made his first semi-final appearance of the season at the NHRA New England Nationals in Epping, N.H. before losing to eventual winner, in John Force. His last win – his 35th of his career – came at the Toyota NHRA Summernationals last year at Old Bridge Township Raceway Park in Englishtown, N.J.
“This is even more incentive to win the event,” he acknowledged. “I can tell you that we’re right there, we’re knocking on the door. We continue to get better every week, and we’re addressing everything we can to get better. Like Anthony Caruso III and The Capital Sports Report on Facebook. We can also be found followed @alcaruso3 and @CapSportsReport on Twitter.